Coming Spring 2016 – Select items & quantities with quick turn around times! We can help you with pricing, shipping, specifications, and meeting deadlines. Receive more information about our products, specifications, and options. We are always adding new products, keep checking back to see what’s new! 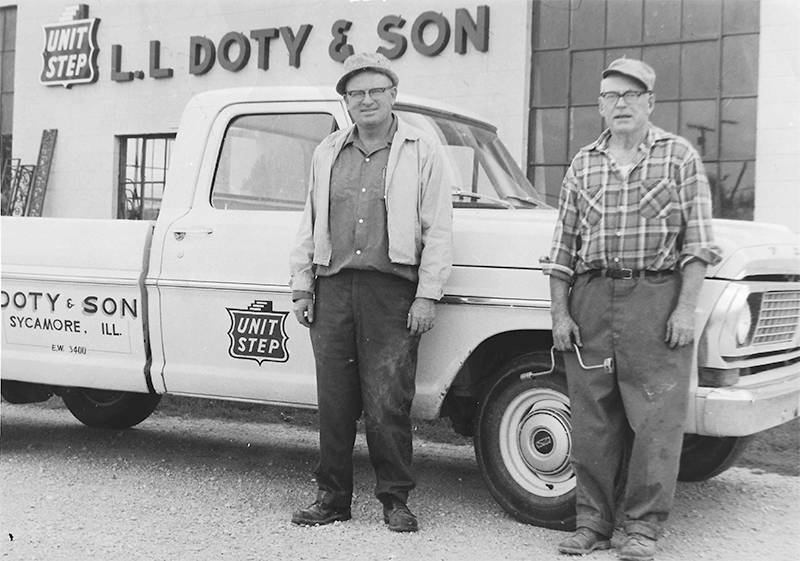 With his discharge pay from the army, Cal Doty and his father, Lavern, started Doty & Sons Concrete Products in 1948. Later, his wife Helen and his twin sons, Tom and Sam joined the business which has evolved over the years. Today, we manufacture a variety of styles of precast concrete waste receptacles, planters, benches and other products. Many of which were designed by Cal and his sons. We provide high quality standard and customized products for both large and small projects. We also work with architects and designers to make custom items to fit the individual needs of their projects. Our centralized location assures reasonable shipping costs to all U.S. locations. We welcome the opportunity to work with you and provide the product(s) you need.